What Do They Write With These? 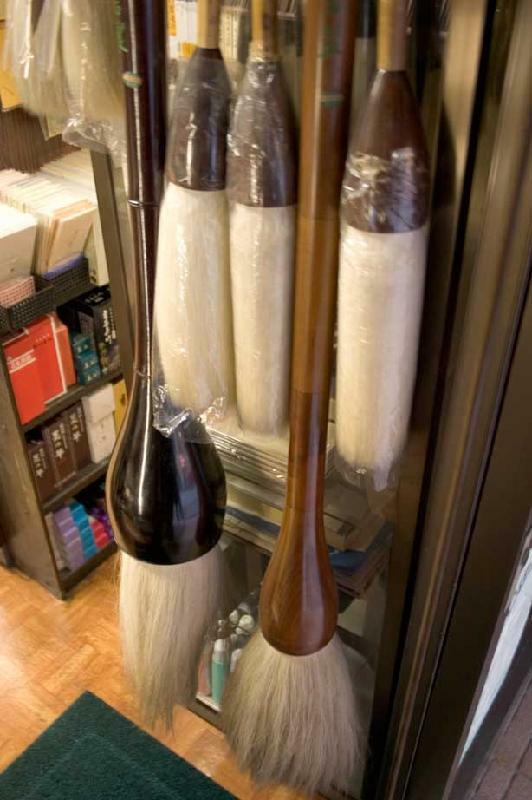 Giant calligraphy brushes. Does anyone know what they write with these? I have seen some photos, where some Asian-looking man makes Chinese calligraphy with big brush and water to the surface of street. Just my 0.02 EUR.